The news in the Premier League this season has been about the flying start Manchester City have made to the season. The Pep Guardiola tutored side have made officially the best start ever recorded in the history of the league with a record 28 points after 10 games matching the achievements of Chelsea in 05/06 and Roberto Mancini’s title winners in 11/12. Despite United and City having similar records at the start of the season, we are now 5 points behind our bitter rivals and with Chelsea up next, there is no chance to drop more points. City take on Arsenal at the Etihad which means that by the time we play at Stamford Bridge on Sunday evening, we could find ourselves eight points behind the summit of the table, which will not be looking good at this point of the season. Mourinho’s history with Chelsea also adds spice to the clash. This time last year, Chelsea were at the beginning of their 13-match unbeaten run, as The Blues walloped us 4-0 in one of the most one sided matches recorded by big clubs in the league’s history. The Portuguese tactician took offence in the manner in which his opposite number, Antonio Conte celebrated the last goal, insisting that the Italian showed a lack of respect to him. How the tables have turned in just a year. Conte is now the one under pressure, and Mourinho will love nothing more than to end his reign at West London. Conte has been under increased scrutiny in recent weeks as his team have already lost thrice in the season, and sit fourth on the table, 9 points behind City. 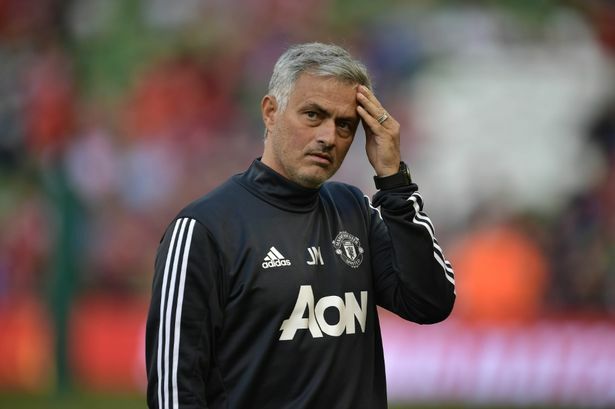 José is still smarting from how the Chelsea players turned on him in his final months in charge and the taunts by the fans in the FA Cup quarterfinals at Stamford Bridge last season was very painful for the former Blues coach to take personally. Chelsea fans labelled him “Judas” for managing Manchester United, but the Portuguese let it slide and now is the time to repay them back and show who’s number 1 at The Bridge. How we set up will be very crucial as Chelsea defence is not as strong as it should be, while there is a fragile confidence with the Blues. We can’t afford to sit back as we did against Liverpool, as Chelsea are there for the taking. The points dropped at Anfield now feel like two points dropped instead of a point gained, therefore we can’t afford not to win at the Bridge. Our record there in recent years doesn’t make for pleasant reading, but José must lose all the shackles on his attacking players. There are different subplots heading into the clash. Conte and Mourinho, Morata against United and Matic coming back to face his former club. The clash promises to be a big one that will have massive ramifications on the title race. We can’t afford to drop further points.